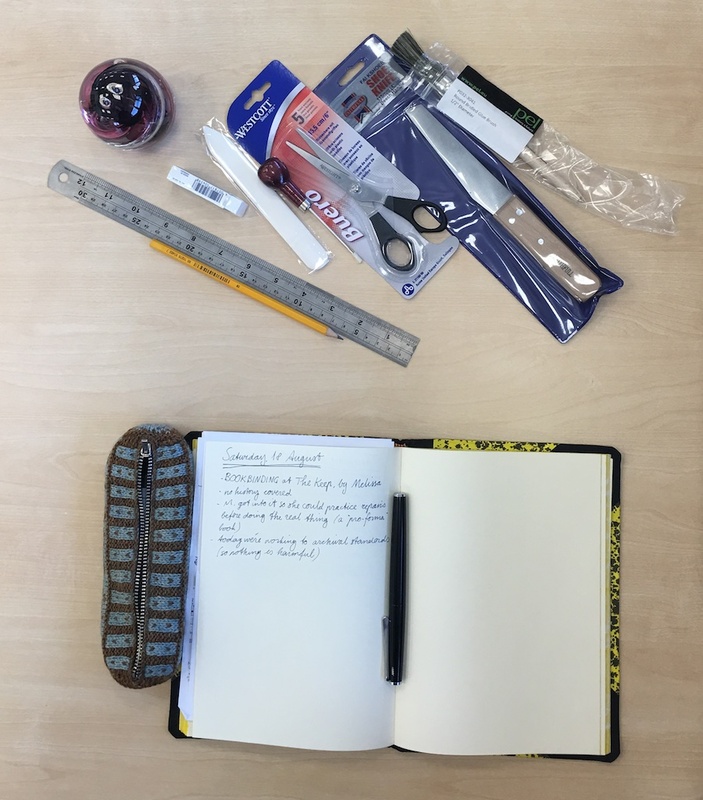 I spent a very enjoyable day at The Keep yesterday, making a casebound notebook at a one-day workshop led by their conservator, Melissa Williams. Being the conservator in an archive that holds many different documents and books, with some going back to the 12th century, Melissa really knows her “métier” and she freely shared her knowledge, making sure that the bookbinding techniques taught can be used at home, without specialist equipment, and only a few special tools. 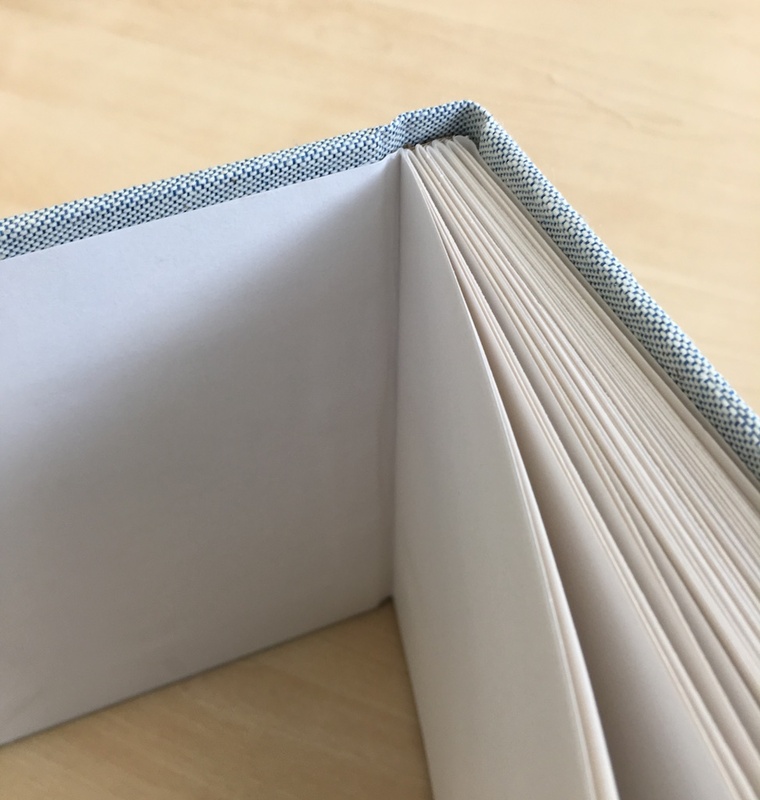 I have always enjoyed using nice stationery, and appreciate well-made books, in particular with “proper” linen covers, and I was very excited when my husband gave me this workshop as a present! I have always been curious about how books are made, and this workshop was a nice introduction. 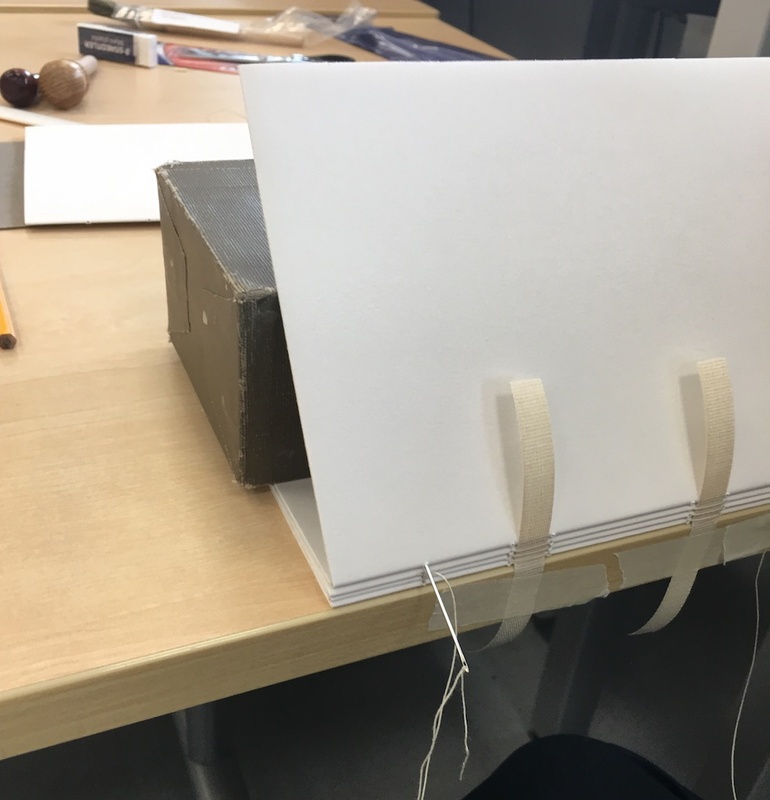 Of course, there are many ways of making books, and this workshop was very practical: we were taught one way of making a casebound book, and everybody left with their own by the end of it. Needless to say, Melissa showed us how to work to archival standards, and the materials used reflected this. 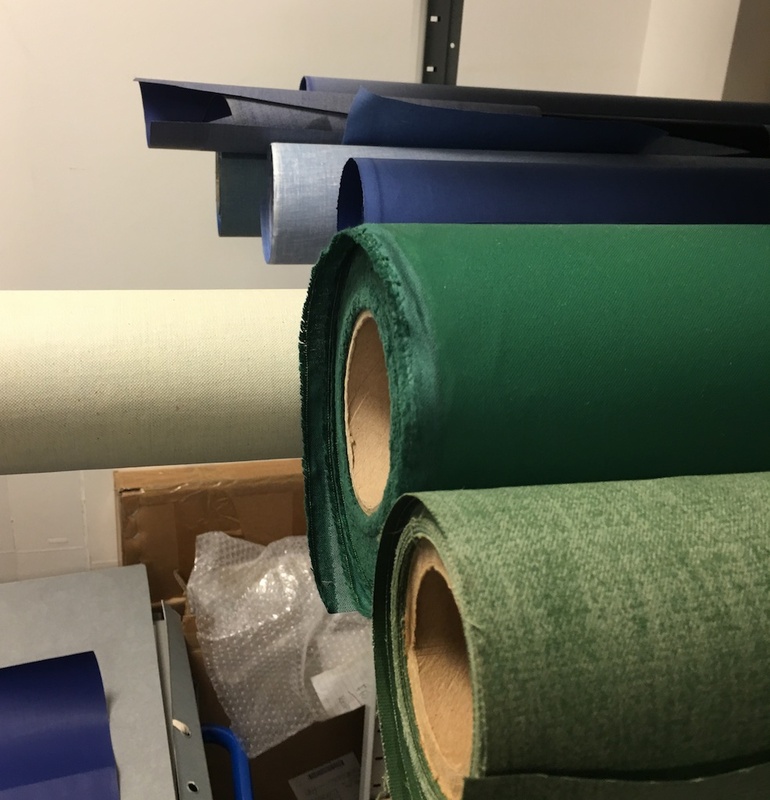 I felt right at home in Melissa’s studio: specialist equipment everywhere, all the high-quality materials she uses, her in-depth knowledge of bookbinding, conservation, and preservation, always trying to achieve the best of her abilities, it all chimed with me. 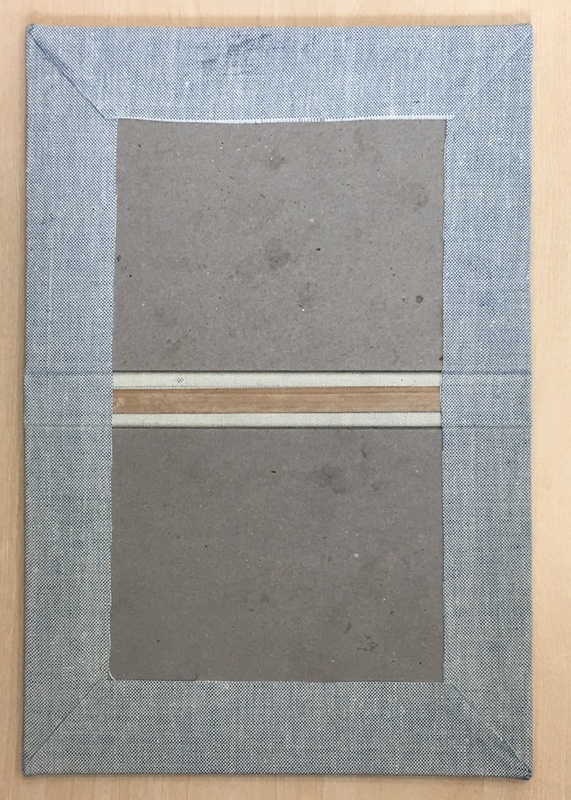 We were taught how to make a casebound notebook, containing five sections. When you open a hardback book, you will probably notice that there are a number of sections, each of which has some thread in the middle. So we started with folding large sheets of paper that would become the sections (Melissa told us that she once went to a conference where she attended a 1.5 hour talk on how to fold paper!) After making holes in each section with a bookbinder’s awl, it was time to get stitching. I really enjoyed looking at the binding sampler shown above. 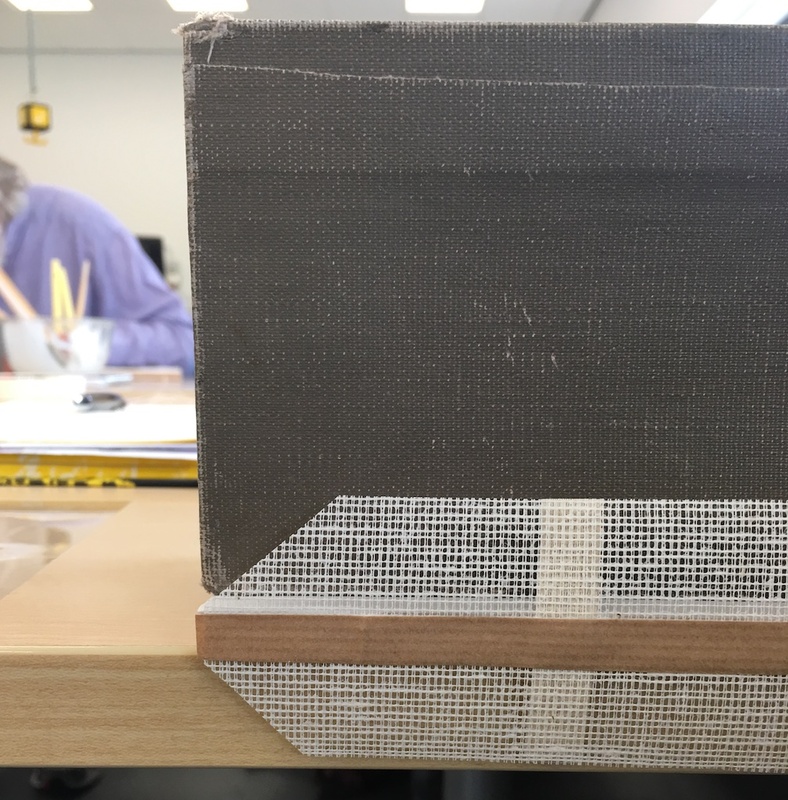 The tape methods shown on the left are what we used, and if I remember correctly, the three methods with the cord are usually used when covering a book with leather – you may have seen antique books with a leather spine with thick ridges across it. This is what those ridges hide. After sewing the sections together, we moved on to gluing. Bookbinders tend to use PVA glue nowadays, but in the olden days the glue was usually made from bones. As a result, antique books often harbour whole colonies of bugs in the spine, as the bone glue can provide nutrients for literally centuries. 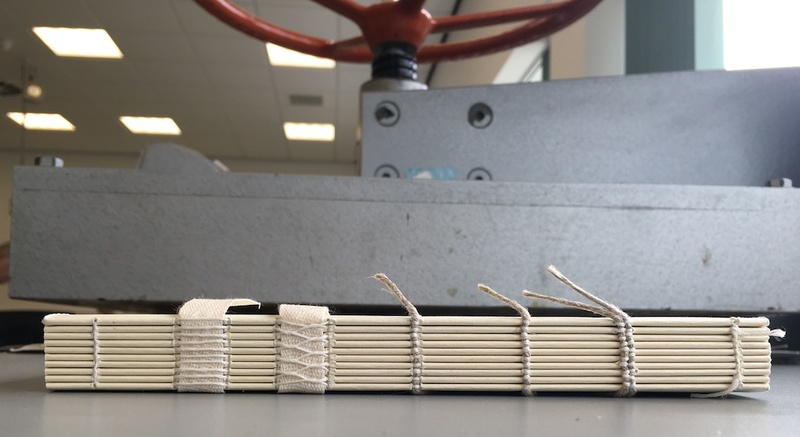 Gluing happens in several stages, using thin layers that each need to dry out, otherwise the book will contain too much moisture when finished, and once assembled, would struggle to dry properly. The spine is first covered in mull, a stiff open-weave fabric, and then some brown paper, and then everything is trimmed. That’s most of the inner workings finished, and it was time to move on to the most exciting bit: preparing the book cloth and covering the greyboard! Gluing in the sewn sections into the boards was the most difficult part, and despite my best efforts, the finished book isn’t quite true. However, this does in no way detract from the marvel of having managed to make my own notebook. A “proper” notebook, made by my own fair hands! Since coming home, I must have picked up this notebook at least twenty times, caressing the linen cloth, looking at the end papers (even if plain) and admiring the nicely turned out corners. I can’t wait to have filled up my current notebook, so I can start using this one. 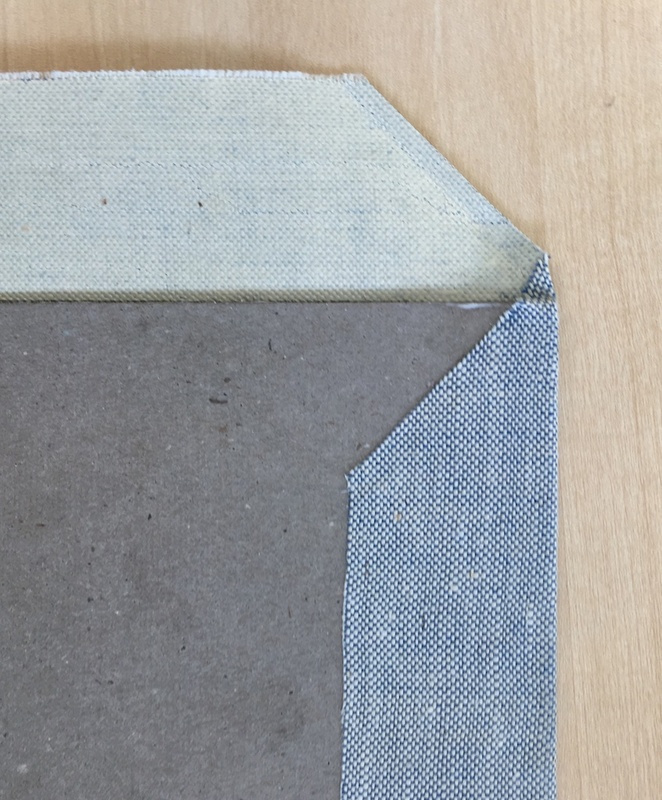 I may have discovered a new hobby, as I’m already overflowing with ideas of playing around with scraps of bookcloth and combining them with my interest in mending. 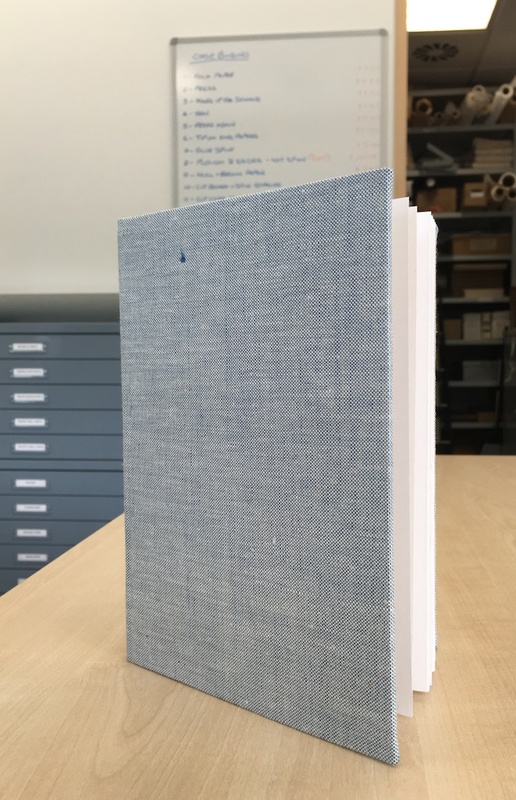 I can highly recommend this workshop, which not only gives you an insight into the art of bookbinding, but also a beautiful casebound book you made yourself!